It is widely acknowledged that children today do not get outdoors often enough and there are serious concerns about children's activity levels and rising associated behavioural, mental and health problems. With such structured and technology-driven lives, it is easy for young children to stay indoors, play on computers and not socialise with other children in a healthy and active way. This book not only supports 'playing out' as an integral part of children’s natural growth and development, but also provides early years workers with a full programme of outdoor physical activities to promote physical, social and behavioural skills. 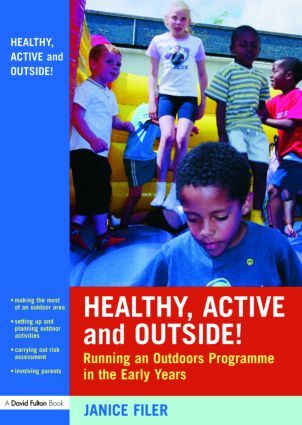 This book is a guidebook to setting up an outdoor physical activity programme in any early years setting. The book focuses on how getting outdoors and taking part in physical activities will provide children with positive fun experiences to enhance their general learning and development. The programme can be adapted to suit any timescale - from a whole term to one or two days. how an outdoors programme can change children's lives for the better.